Arts-based Only Connect facilitates activity for ex-offenders, to reduce offending behaviour using the arts as a catalyst to encourage change. It provides activities and works with education and community organisations as well as its own centre where ex-offenders and those at risk of offending attend. The arts is a small but powerful aspect of provision which as a result of this research can inform and open dialogue within the criminal justice sector and other organisations providing similar activity for this client group that requires a unique set of skills in order to engage and enable change. The research used a mixed methods approach involving interviews, ethnography, observation of workshops and surveys. This enabled a rich source of information for answering the research questions. The project faced some challenges due to issues with member engagement on the project – evaluation take up was low and less data was collected than was originally hoped. Issues regarding self-reporting arose, given that the membership thoughts can be in flux on a daily basis, the need for an ethnographical approach to reporting was clear. Though the participating members were all engaging with Only Connect through creative projects, many of the participants reflected on the ‘community’ ideals of the charity, remarking that it felt ‘like family’. 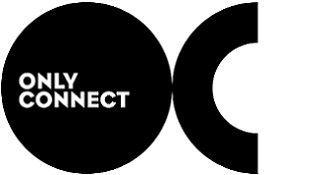 The resulting report has provided effective insight into Only Connect’s work and provided a basis for the development of future creative evaluation projects. For Only Connect the insight of an experienced researcher was helpful in providing impartial reflections and stimulated engaging conversations into the role of members/clients in their business and project planning activity.